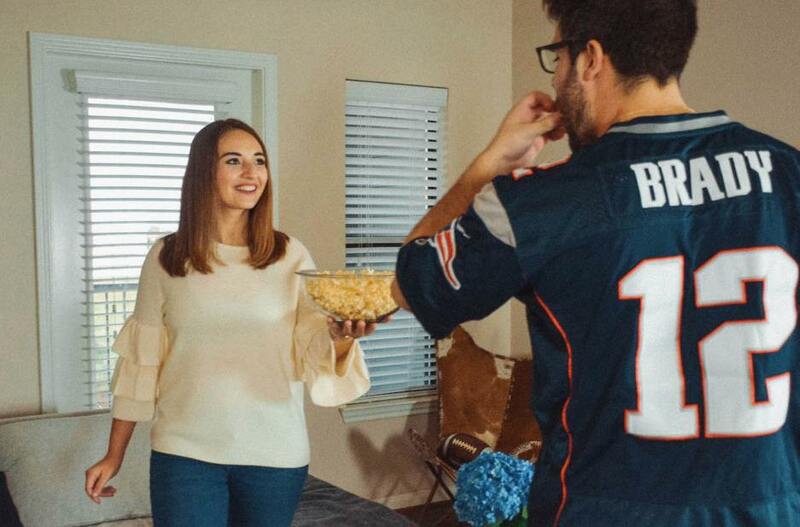 Whether you’re watching football curled up on your couch all Sunday long, or getting dressed up in the appropriate colors to cheer on your team at a playoff game; football seems to be an underlining theme of this season. It really is a game of strategy, teamwork, and comradery; aspects I truly love. 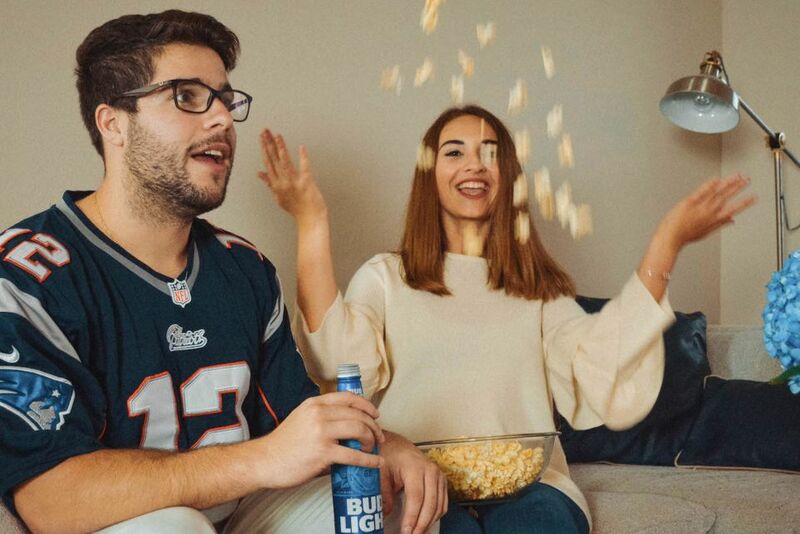 However some things are just darn confusing, so I’m here with a timeout card, ready to break down the essence of football with our Girlfriend’s Guide to Football Sunday. Below our team has broken down the essential guidelines of the game, and some elements you might want to brush up on before next Sunday’s game! Okay, before evening turning the TV on, it’s important to understand how your team can score and win points! Here’s a simple breakdown: TOUCHDOWN = 6 points, after scoring the touchdown your team can play the ball for a two-point conversion = running the ball into the touchdown zone again for 2 points, or bring in the kicker for 1 extra point. Finally, a FIELD GOAL is worth 3 points. A yellow flag means there is an issue on the field, which could be a blessing or a curse for your team. Below, we have listed some popular explanations for when those yellow flags go flying. FALSE START: when a player on the offense moves before the play started. OFFSIDES: when a player on the defense moves before the play started. DELAY OF GAME: when the center doesn’t ‘hut, hut, hike’ the football to the quarterback before the play clock expires. HOLDING: this is when a player is restraining another player, who doesn’t have the ball, from moving; holding is the most common penalty in football and is usually called when a defensive player is holding another player’s jersey. PASS INTERFERENCE: the defense must give the offense the opportunity to catch the football, so this penalty will be called only IF the defense player grabs the receiver’s arms or holds the receiver in a way in which he’d be unable to make a play. UNNECESSARY ROUGHNESS: when the referees feel a hit was unnecessary, for example hitting another player with your helmet or being unnecessarily aggressive. Okay, now that you are well informed with the meaning of those, oh so important, yellow flags; let’s cover two final elements of football that use to always confused me! If you’ve ever attended a Patriots game at Gillette Stadium then you have experienced the crowd screaming: ‘Patriot’s first down’. Yes, it’s fun to jump up and scream with the crowd, but this is also an important part of football to understand. I find the easiest way to explain this is in baseball terms. Okay, in baseball you have three strikes then you’re out, well in football you have four downs then you’re out. So your team has four chances to move the ball 10 yards, and it’s the job of the defense to stop the offense from accomplishing this and if they don’t make 10 yards in four downs then they lose the ball (aka YOU’RE OUT!). Finally, What’s that yellow line? If you’re watching the game with your boyfriend and his friends, all huddled around your TV, you might have noticed that thin yellow line. That yellow line is important & to my surprise does not appear at the actual games, but rather just on your TV. To sum it up the yellow line shows how far your team has to go to get a new first down! Now that you’re up to par with all your football lingo, it’s time to put your knowledge to the test! The Superbowl is around the corner and I hope you spend your time enjoying the essence of football and those exciting moments with your friends! Follow Aubrey & her adorable bf Matt!